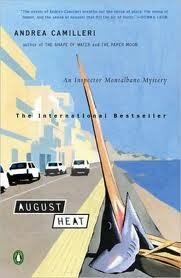 August Heat, book # 10 to feature Inspector Salvo Montalbano, is hands down my favorite book of the entire series. August Heat was nominated for last year's CWA International Dagger Award, which was won by Johan Theorin for his outstanding The Darkest Room (and whose new book The Quarry is winging its way here across the Atlantic as we speak). When I read this book last year, it was my first foray into the world of Inspector Montalbano, and I was a bit lost having never read any of the previous books. Reading it now in its place in the series order made for a much better experience on several levels. In a scorching, palpable August heat, Montalbano is volunteered by Livia to find a seaside summer vacation rental (a nearly impossible task) for her friend Laura and Laura's family -- Guido, her husband and Bruno, a very active three year-old who "was a master at busting the cojones of all creation." Miraculously, after several real estate agents had laughed in Montalbano's face when he makes enquiries about finding a place, there is a cancellation at Marina de Montereale. The first two days go well, but beginning on day three, the family runs into problems. First, an army of cockroaches moves in. On day five, there's an invasion of mice. On the eighth day, the house is visited by a parade of spiders. Then it rains. At the point where Laura can't take much more she says "You know, I'm beginning to reconsider all those films I've seen about haunted houses full of spirits that come up out of hell," and she doesn't know it at the time, but her words are prophetic. When the weather is finally beautiful again and all of the animal plagues have been controlled, the family decides to spend the day on the beach. But there's a problem: Bruno is missing. All of the adults search the house and the grounds, then Montalbano and Gallo search, with no results. But the family cat finally leads Salvo to Bruno, who has gone under the house through a hole in the ground. When Montalbano goes to investigate, he discovers another floor of the house, completely buried. He also makes another discovery -- there's an old trunk there, containing the body of a dead girl. His first mistake: not telling Livia or Laura's family about the corpse right away so as not to ruin their vacation, but once they leave, he's eager to get going with the investigation. August Heat has everything I have come to love about these books and about Camilleri's writing. The humor in this book is at times laugh-out-loud funny, but is balanced with the rather sorrowful twist at the end of the story. The sense of place is strong and described so well that if I ever go to Sicily, I'd probably recognize the place, especially in the dead of summer, when the heat is all encompassing, the air barely moves, clothes are drenched in the amount of time it takes to get to a car, and it's even too hot to cook. The characters continue to grow and evolve, and by the end of this book, there's a Montalbano whose concern over getting older will lead him down a path that he probably shouldn't have taken. On the flip side, although the core mystery is very well done and well plotted, the whodunit is easy for the experienced armchair detective to solve, and once again Camilleri sticks to the formula he's used pretty much throughout the entire series. But the truth is, like all of the Inspector Montalbano books, the crime solving is just a fraction of why people become attached to this series. At one point while Montalbano is reading and enjoying one of the Martin Beck novels by Sjowall and Wahloo (also one of my all-time favorite crime-fiction series) he "dedicated the book to all those who did not deign to read mystery novels because, in their opinion, they were only entertaining puzzles." As in the Beck series, Montalbano manages to sneak in a few well-deserved jabs at the system in each one of his novels. All I can say that I haven't said before throughout writing about this series is that as long as Camilleri keeps these novels coming, I'll keep reading them. 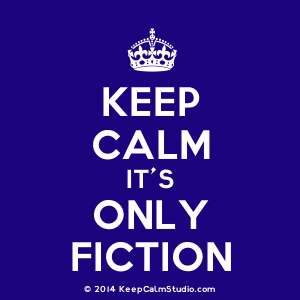 And for any reader of crime fiction, these books are definitely ones not to miss. I agree. I liked this book very much, and it was my first foray to Vigata, Sicily. Since then I've read six Montalbano books, and have one in my TBR pile, reluctant to read it, as it's like a fine dessert. I want more to be left to still enjoy. This is a book which I'd like to buy and keep to loan to friends to show how good this series is -- and to reread later.